Welcome to Effigy’s Customer Support and Community Portal. Got a problem? Want to talk or share? Searching for answers? Downloads? Advice? Musical inspiration? You're in the right place. Control Panel for Mac and Windows (zip) - The control panel is packaged as a compressed (zip) file. It will work on both Mac and Windows computers. Decompress the downloaded file before running the jar file inside. Click on the “EffigyControlPanel.jar” file to run the app. Java Runtime Environment (JRE) - The control panel is a java application. Download the JRE if needed here. Effigy Factory Bank - download the latest Factory Bank (5 presets). 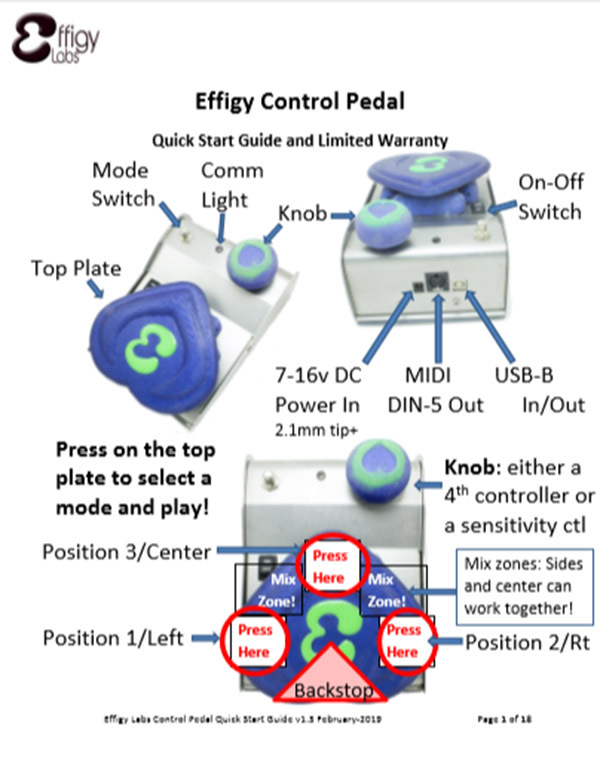 Use the control panel to import it and load it into the pedal. Use your browser’s “save as…” function. Pedal Quick Start Guide (PDF) - A few pictures showing how to quickly get started. Click here to go to our YouTube channel where you can find how-to videos on setup, playing techniques, and more.